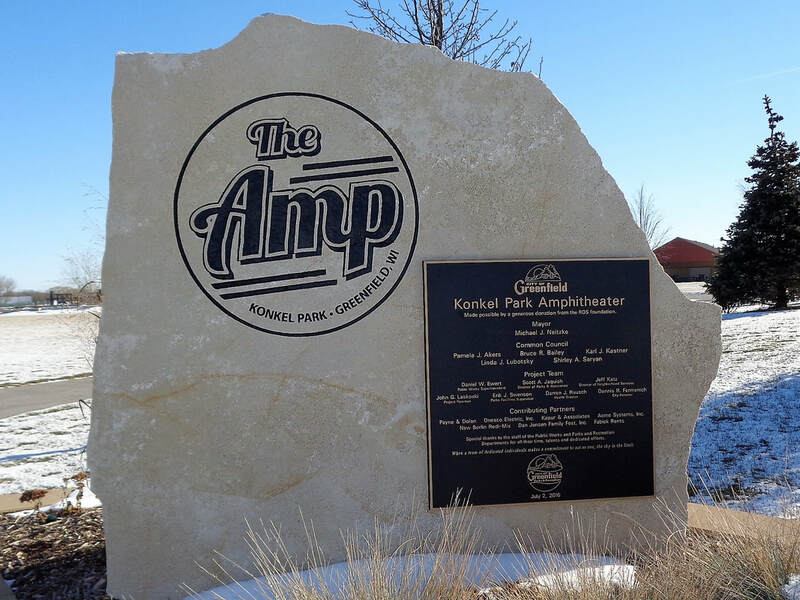 ​The Konkel Park Amphitheater, The AMP, is a Poligon structure constructed by the Greenfield Park Department in 2017 for an approximate cost of $130,000. It was purchased through Reese Recreation (similar to the DeForest Fireman's Park structure). No outside architect was used; a consulting engineer assisted the Greenfield Park Department staff in setting grades for the project. The only other outside contractors were a mason for the stone column wraps, asphalt work, and some electrical work. The project was part of a larger one that consisted of moving the existing volleyball courts to another part of the park area. Tall cedar trees form a backdrop for The AMP; a slightly uphill sloping grass lawn invites the audience to put down blankets or chairs to enjoy an evening of music. A walkway surrounds the lawn while at the center back, there are permanent picnic tables. The AMP offers a variety of musical events throughout the summer. 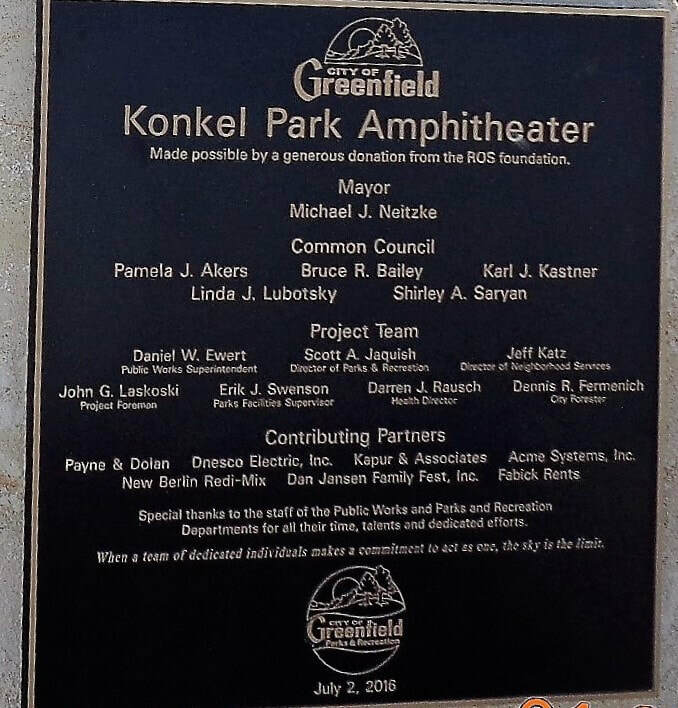 In 1990, Konkel Park was officially dedicated Stanley J. Konkel Park recognizing the dedication and efforts he displayed in his 34 years of service on the Greenfield Park and Recreation Board.